The following uses for gold are gathered from a number of sources as well as from anecdotal comments. I would be delighted to receive corrections as well as additional referenced uses. Gold is expensive but currently less so than platinum. 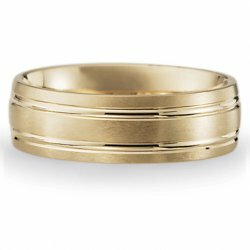 This ring is 18K (18 carat) meaning the metal is 75% gold (24K is 100%). Gold is the key component for "liquid gold", preparations containing up to 12% gold ideal for decorative application using brushes and gold pastes used for screen printing. Gold is also well known as a coinage metal (because of its scarcity, inertness, and decorative features) and is a standard for monetary systems in many countries. Apart from gold coins, gold ingots, and gold bars, gold is available in many forms including pure gold and alloys as gold flakes, foil gauzes (meshes), grain, powders, sheet, sponges, tubes, wires and even single gold crystals. Purple of Cassius is a purple pigment formed by the reaction of gold(III) salts with tin(II) chloride. It imparts a red colour to glass (cranberry glass), and also acts as a chemical test to determine the presence of gold. Generally, the preparation of this material involves gold being dissolved in aqua regia, then reacted with a solution of tin(II) chloride. The tin(II) chloride reduces the chloroauric acid from the dissolution of gold in aqua regia to a red or purple colloid of elemental gold. When used as a test, the intensity of the colour correlates with the concentration of gold present. See L. B. Hunt, "The True Story of Purple of Cassius", Gold Bulletin, 1976, 9, 134-139. Recently, gold catalysts as gold supported on carbon or metal oxides are becoming useful in the chemical industry. Many other gold compounds including neutral gold halides (AuBr3, etc. ), aurates (K[AuBr4], etc.) gold cyanides, gold oxides, phosphine gold complexes, gold hydroxides and gold nitrates are available to industrial users. Chlorauric acid (HAuCl4) is used in photography for toning the silver image. Gold is a really useful metal for electronics because of its inertness and physical properties. Gold is used for electrical contacts, spring contacts, bonding wire, solder alloys, bonding wire, bumping wire, electroplating, and sputtering targets. Gold is also a useful brazing material. Gold is used for coating space satellites, as it is a good IR reflector and is inert. Since gold is inert and possesses useful properties when alloyed, gold is used extensively for dentistry in gold teeth, dental attachments, inserts, and solders. Similarly, gold is used increasingly for medical implants in eyes and ears, as well as many other medically useful wires, tubes, sheets, and foils. Disodium aurothiomalate is administered (intramuscular) as a treatment for arthritis. The gold isotope 198Au is used for treating cancer and other conditions. Gold is used in nanotechnology applications as colloids, conjugates, nanoparticle inks, nanoparticle solutions, and nanopowders.